Happy Wednesday! The weekend is almost here and it’s finally starting to feel like summer. I can’t wait to get out to the beach! 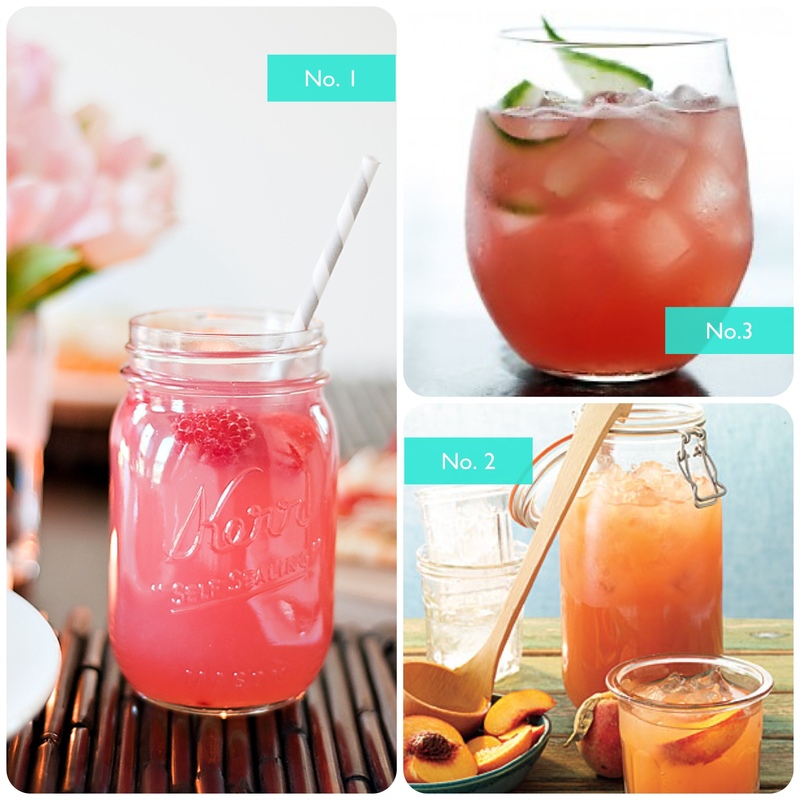 Here are some yummy cocktail recipes I pinned that I just can’t wait to try. What summer cocktails are you looking forward to trying this summer? 1. This raspberry beer cocktail includes corona and vodka. I am interested to see how they work together. 2. I can’t think of anything that says summer like fresh, cool watermelon on a hot day. Why not add some cucumber and vodka? A watermelon-cucumber cooler for everyone! 3. Peach season is right around the corner here on the east coast, and this simple peach lemonade recipe is the perfect way to use up some of those not-so-pretty, but oh-so-delicious peaches from the farmer’s market. Don’t forget to follow me on Pinterest. Have a happy and safe Memorial Day Weekend!